We are in the last few days before our Open House and the convoy to Hessisch Oldendorf with 275 registered participants, the meeting of Hessisch Oldendorf , many foreign visitors and European Bug In the following week and still I find some time to write this column… Organization, deadlines, these are things that make people move! Keep on moving… that’s what we like to do in our Vintage Volkswagen world, we do it that well that the gentlemen in Wolfsburg will regret that they joined us too late… Fantastic, but sad too, they do not really follow the path of rewarding education…In other words those among you who still have Volkswagen emblems on their internet page or in their catalogue, be warned! They will intercept everybody with the well-known “German punctuality”. And penalties will be stupendous. But there will be more official canals to obtain VW emblems and like Steve Jobs (Apple) has learned us, people aren’t really thieves, they just want to be able to acquire things at a reasonable price… I Tunes are booming like no other ever since… the alternative... we’re working at it. We hope we’ll have more news in the next edition. I hope we see you at one of the many Volkswagen meetings this summer… we’ll discuss the actual situation with a fresh beer in our hand and then we can cope the entire world! Enjoy the reading of this newsletter, I wish you all a nice summer and if it will be the case : marvelous holidays.. let the sun shine! BBT is always working to improve the quality of its range but it is not just the parts that we would like to improve. At BBT we also find it important to make sure that parts do arrive in decent shape at our customers so we also work to improve packaging. Item numbers # 0354 Scraper + molding 65- left and # 0355 Scraper + molding 65- right were always a subject that caused some anxiety. 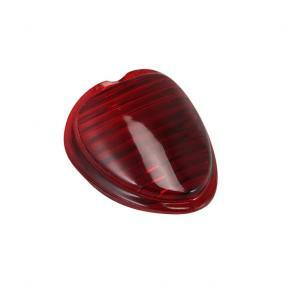 These items are very fragile and do have a high esthetical value but they get easily damaged. Therefore we’ve decided to provide them as from now on in an individual stronger packaging than previously. This will cause a minor price increase but we believe this is acceptable when we keep in mind that it wouldn’t make you happy when you miss a long scheduled meeting because you aren’t able to finish your beauty in time after receiving a damaged spare part. Quantities per 30 are still available. On type 25/Vanagon buses the door and side panels are assembled by means of clips which, depending the version, are assembled on the rear side of the panel or pushed through the panel. 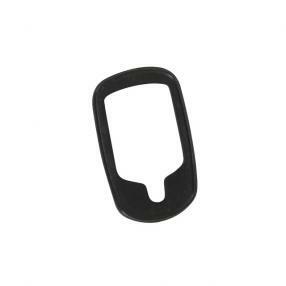 These clips can get damaged during disassembly or they get lost during the work. BBT presents you from now on the correct clips each from stock. 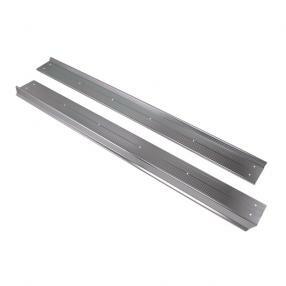 Karmann Ghia door sills are finished at the top by means of an aluminium cover. It gives also an nice finish of the connection borders. After more than 40 years of use many of these sills are damaged when stepping in the car and/or by corrosion. 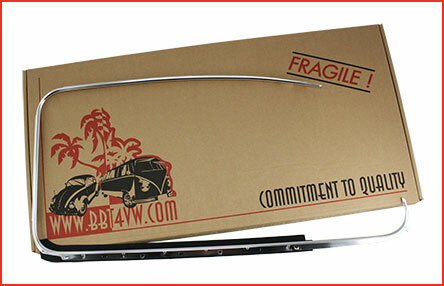 From now on owners of Karmann Ghia cars can replace the damaged door sills by this nice reproduction. This Vintage Speed shifter in classical version for Type 1, Type 3 & Type 14 has besides of a nice look, also an accurate working with a coupling reduction of 35 % for the 13,8 inch version and 40 % for the 11,5 inch and 10,5 inch version. 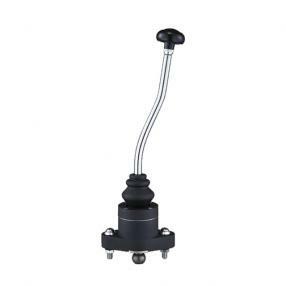 The reverse coupling is effectuated by means of pulling the shifter upwards. 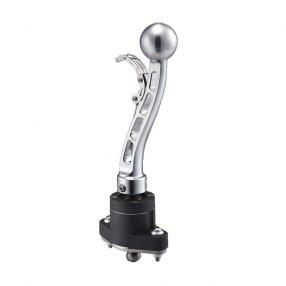 The shifter is , depending the version, made from durable coat or polished aluminum. Shifters are delivered each, stop plate and assembly material inclusive. There is a good collaboration between BBT and Vintage Speed since a couple of years and due the increasing demand , BBT has extended the range of Vintage Speed products. 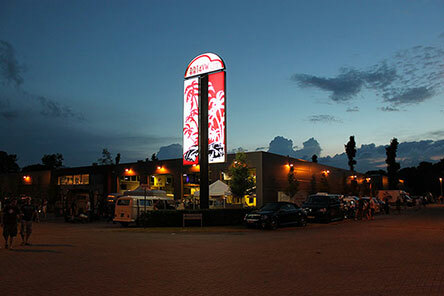 Vintage Speed has a nice offer of good custom shifters, which excel in quality, accurate functioning and nice finishing. The Club Sport version fits on Type 1, Type 3 and Type 14 and is CNC finished in aluminum. The shifter is ergonomically formed, somewhat lighter due the hotches in the shift levers and foreseen of a removable shift knob. The reverse selection can be manipulated by means of a lever that can be controlled by a simple finger move. Shifting direction will be reduced with 40 %. The black mamba shifter is also appropriate for Type 1, Type 3 and Type 14 and has round hotch in the levers. It is also available in a more custom black mat finishing. The shifters are delivered each, stop plate and assembly material inclusive. The front seat stands for Type 2 walkthru Splitbuses starting from 08/62 are covered in the deluxe model with a rubber wrap that protects and embellishes the underside of the seat stands. 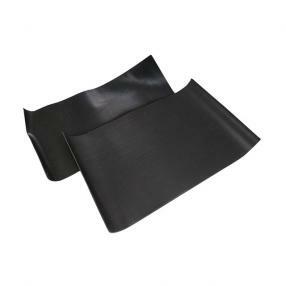 After many years of use and sunlight exposure this rubber upholstery is often hardened or torn. BBT presents you a good alternative to replace your damaged upholstery. Available per pair from stock. Cargo doors on Type 2 Splitbuses till 03/55 in the deluxe model are covered with a rubber mat that protects and embellishes the underside of the cargo doors. This rubber mat is often hardened and torn after many years of use and exposure to sunlight. BBT presents you a nice replacement for your damaged doormats. Available a pair from stock. This mirror mount is an indispensable part for the assembly of the rear view mirror on the body on Type 1 convertible and Karmann Ghia 08/68-. After many years the original mount can fade, harden, break or the contacts for guiding the electrical stream towards the inner light can get damaged by corrosion and therefore the mirror has to be replaced. From now on available each from stock. 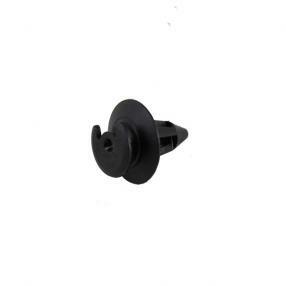 This seal is indispensable to tighten of the headlight unit. If moisture penetrates into the headlight unit, then the mirror that reflects the light rays will get damaged very soon, and the luminosity of the headlight will diminish for sure. The leaking seal can be replaced without problems and it will benefit the life-time of your headlight. Sold a pair. This metallic battery mounting strap is essential for a good assembly of the battery on Type 1 10/52-55 and Type 2 55-07/66. When the battery is wrongly connected, it can fall over and/or cause a short circuit and lead to dangerous situations. 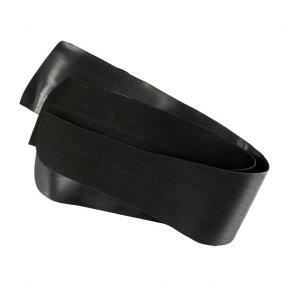 The original strap is often damaged by corrosion or got lost after many years. From now on BBT presents a good reproduction. The mounting strap must be screwed at the rear of the battery with a screw (not included) on the floor, guided over the battery cover plate and at the front of the battery the strap can be fixed to an hook and spanned. 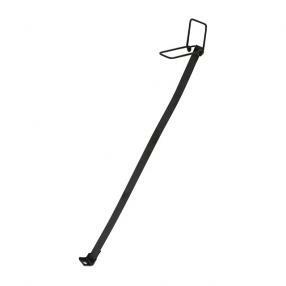 The mounting strap is available each from stock. 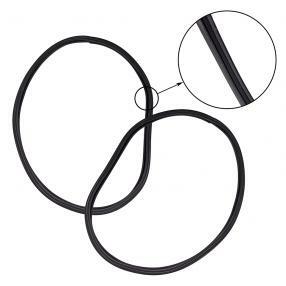 This rubber seal can be found on Type 2 08/71-07/79 underneath the engine lid lock. It is often hardened and fragile due to fluctuations in temperature or UV-rays. BBT can present from now on this seal in a good reproduction quality from stock. Heater and fresh air control on Type 2 08/67-07/72 can be regulated separately from the dashboard by means of some practical red and blue levers. 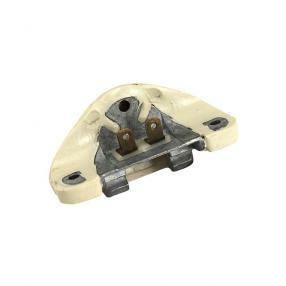 These levers are though very susceptible to damages resulting from bad working wires and valves and UV rays can get them fragile and faded or they get damaged during disassembly of the dashboard. From now on BBT presents a good replacement. Sold per piece. 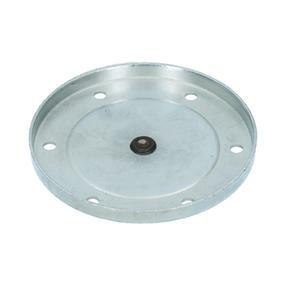 Backing plates are essential for a proper assembly and protection of various brake parts on the rear axle. Thats why they should always be in an impeccable state. 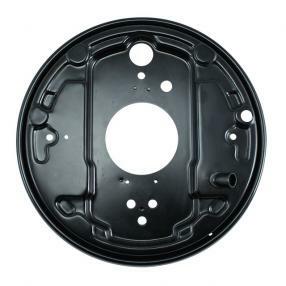 As they are located at the inside of the wheels, these plates can get severely damaged due to influences of water, sand, dirt and stone-dust. From now on BBT can deliver a good reproduction a piece for each side from stock. The gear box on Type 25 buses is suspended at the front by means of clip, where on a round transmission mount is welded. At the moment the complete support has only a limited availability, though the rubber part with the metallic holder can be delivered. Although it needs some polishing and welding work to foresee the support with an new suspension seal . The transmission mount is delivered each from stock. Draining motor oil on Type 1 engines used to be effectuated from the underside at the engine case. On Type 1 25-30hp engines by means of removing the oil sump plate, which kept also the oil screen at its place. 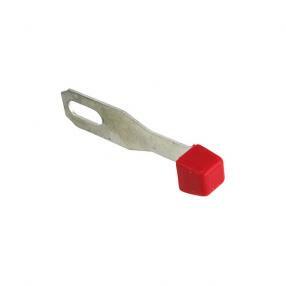 On 1200, 1300, 1500 and 1600cc engines there is often a drain plug, that you can unscrew in order to drain the oil from the engine block without to disassemble the plate. These plates are since quite some time available as a part of the complete oil change kit # 1852 for 12/13 1600 and # 1852-1 for 25-30hp. Meanwhile we regularly receive requests to deliver this plate separately in order to replace a damaged or corroded item. From now on we can deliver it each from stock. 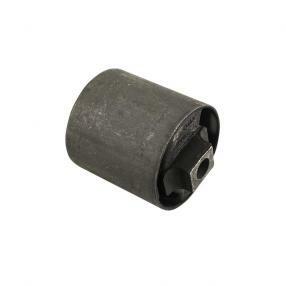 The plates have also the drain plug and according seal for this oil sump plug. One doesnt drive far with a classical car without proper fuel. This unit should always work perfectly. A very important item for a correct and smoothly functioning is the carburation. When after heavy duty leakage occurs, the fuel consumption will increase and even worse, fire might appear in the engine compartment. 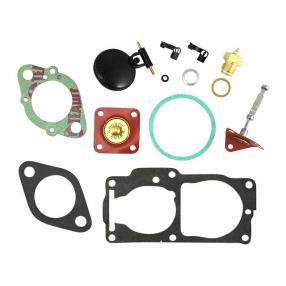 To rebuild the 32/34 PDSI carburetors applied on Type 4 1.7 - 2.0l engines, Type 2 since 08/71 - 07/79, Type 411/412 and Porsche 914 with 32-34 PDSIT-2/3 and the Solex / Brosol H 32/34 PDSI 2 BBT has now for you an adequate rebuilt kit available from stock. The rebuilt kit is delivered a piece for each side. 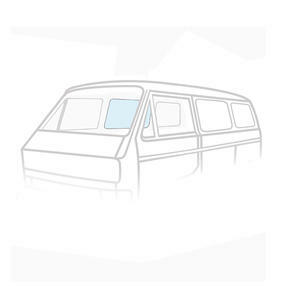 BBT continues to expand their offer of windshields for Vintage Volkswagens and were very pleased to present you from stock the windshield for Type 181. From now on it is possible to replace scratched or cracked windshields of your Type 181 by a new one. 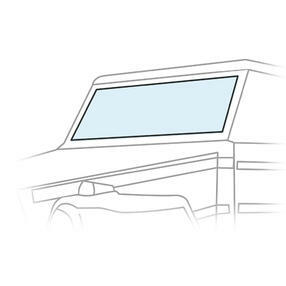 These windshield fit also on VW lltis. They have the E-mark and are available each from stock. We have since a long time windows for Type 25 buses, though we were still missing the sliding door window for model 09/84-07/92. 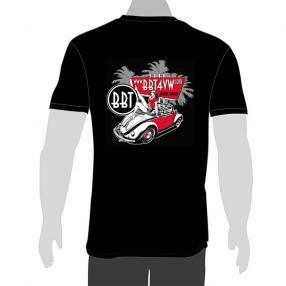 From now on BBT has them available each from stock.